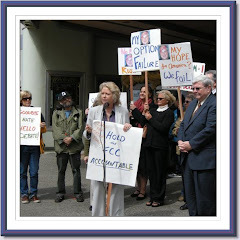 Sue Wilson Reports: Tea Parties, Fraud, and the BP Fund: Something in Sacramento's Water? Tea Parties, Fraud, and the BP Fund: Something in Sacramento's Water? which is being set up to provide financial assistance to those damaged by the Gulf oil spill. He's not just encouraging residents of the Gulf or those who do business with Gulf Coast fisheries to file claims; he is encouraging everyone in the country to file a claim against BP, and brags about having done so himself. stealing from you to redistribute," and he cites fund administrator Ken Feinberg as telling people “we should '...all file a claim…' because specific criteria for valid claims has not yet been set." He further writes, "Let’s show the Marxists who occupy our government and their flying monkey supporters what life under socialism is really like when the productive stop producing and join the gravy train." So let me see if I get this right: A multinational corporation drilling off our shore in international water causes a disastrous oil spill which imperils not only wildlife, but the opportunity for Gulf residents to earn a living. The President of the U.S. puts political pressure on said oil company to pay not just for clean up, but for compensation for loss of business opportunity. The BP fund, according to a conversation I had with Mr. Feinberg's office today, "is paid entirely by BP." Even the administration of the fund is paid by the private corporation which caused the spill. "There are no merits to the claim that U.S. taxpayers are footing the bill." So how can Williams in any way call the BP fund "socialism?" There is one federal government agency which will likely use taxpayer dollars. Again, according to Feinberg's office, "As with the 9/11 fund," (which Feinberg also administered,) "Mr. Feinberg will be working with the US Department of Justice Fraud Division to ensure there is no fraud in the fund." Funny, too, that Williams uses the tag line, "It's Not Right vs Left, It's Right vs Wrong." Readers will have to make their own judgment about that. It's interesting to note that the state capital of California somehow launches national Right Wing voices. Williams, Rush Limbaugh, NewsMax's and WorldNetDaily's Joseph Farah, and the Tea Party Express all hail from Sacramento. Must be something in the water, and not just in the Gulf. Glad my water comes from a well. Maybe Obama refused offers of equipment and experienced help from over 30 nations for some 71 days to allow the crisis to rise to proportions necessary to raid BP's coffers as part of his Nationalization program? Yeah! Really. And maybe Humpty Dumpty was pushed!